The launch of the new Cairo-Alexandria VIP train before the Bairam vacation recalls Egypt’s rich railway history that prides itself in being the second oldest worldwide and the first in Africa and the Middle East. 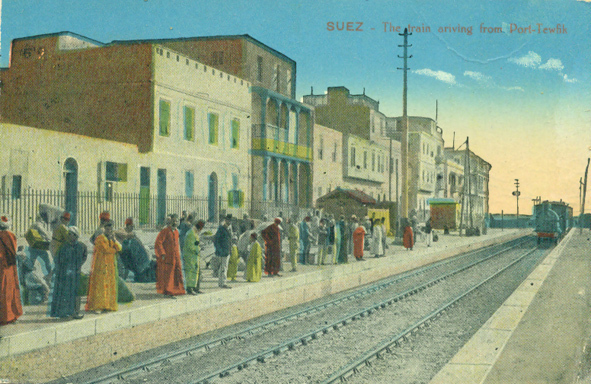 It all started with a short-lived line between Suez and Alexandria in 1834 that served as an overland route that linked Europe to India and the East prior to the construction of the Suez Canal. In 1851, in order to speed up the traffic on this route, Viceroy Abbas I negotiated with Robert Stephenson, son of George Stephenson, the English inventor of the railway, the construction of a railway from Alexandria to Cairo. During its earliest decades, the administration of the state service railway was spearheaded by Henry Collingwood Richards, a British officer who came to Egypt around 1846 after retiring from the British Army Service in India. Interestingly, this was not the only train operator on the scene. Concessions were granted in the late 19th century to several private railway companies, including Delta Light Railways, Qena Aswan Railway, Chemin de Fer Economiques L’Est Egyptien, and Chemin de fer de la basse Egypte. 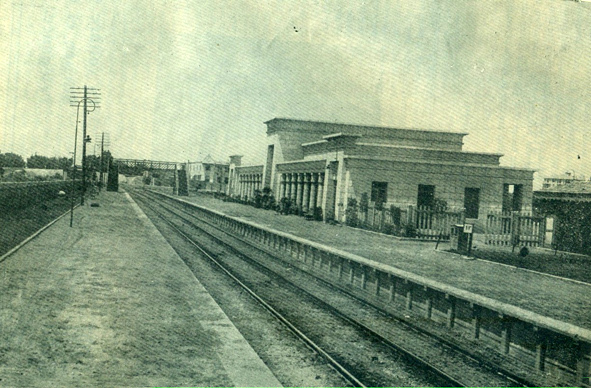 By 1914, Egyptian state grouped all the railway companies in the country under the state operated umbrella that became known as the Egyptian State Railways (ESR). By the 1930s, ESR was a very well established company. 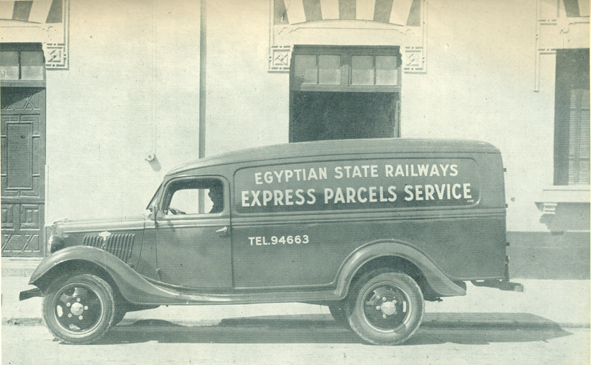 Most all towns in Egypt were serviced by the Egyptian railway. 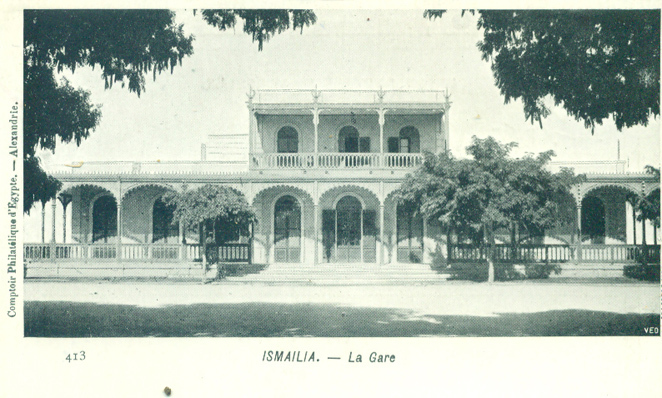 The institution boasted many peripheral activities, such as the telegraph company, parcel delivery services, a printing house and even an inhouse Arabic-English magazine edited by Cooke. 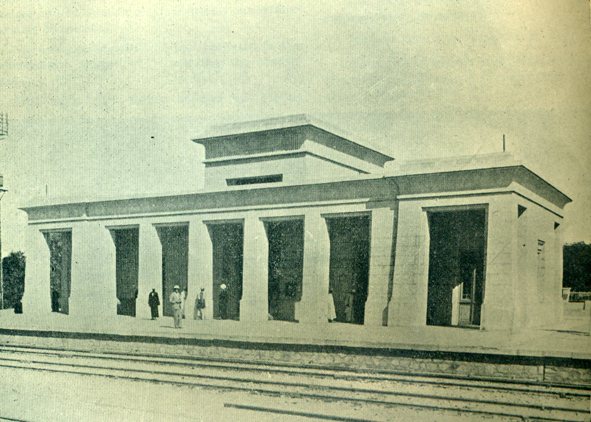 Under the leadership of its general manager H E Mahmoud Shaker Bey and on the occasion of international railway conference held in 1933, the ESR inaugurated a railway museum (now temporarily closed). 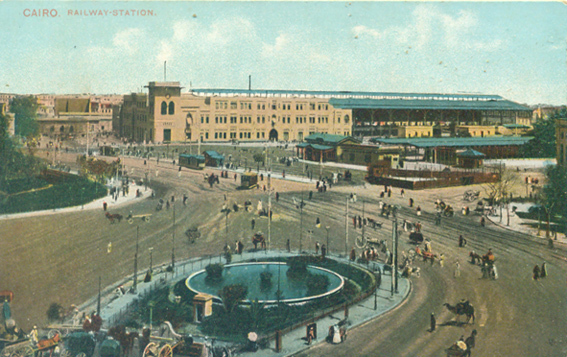 Among favourite topics for postcard and photography collectors are images and architectural styles of railway stations. Key ESR stations were built variously in neo-Pharaonic, neo-Mamluk, colonial and other styles. 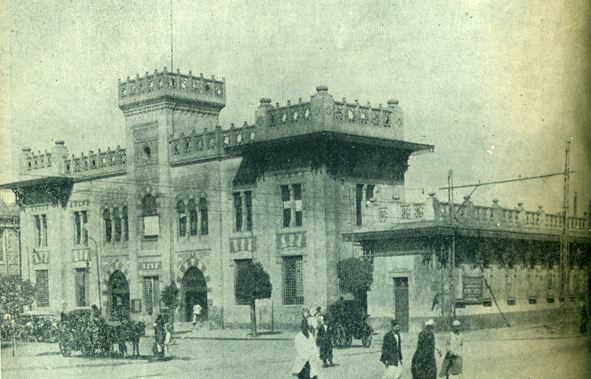 Cairo Station (known as Bab Al-Hadid, or Ramsis Station), designed by British architect Edwin Patsy in 1893, falls under the neo-Mamluk style. Unfortunately, one of its eastern annexes, Pont Limun, used as suburban stations leading to the Matariya Line, was pulled down in the early 1980s and replaced by a modern metal clad building dedicated to postal services. 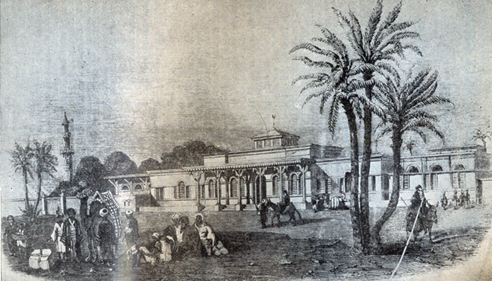 Little known to many, Cairo Station had a predecessor that was never captured in photographs, but whose illustration featured in the railway magazine. 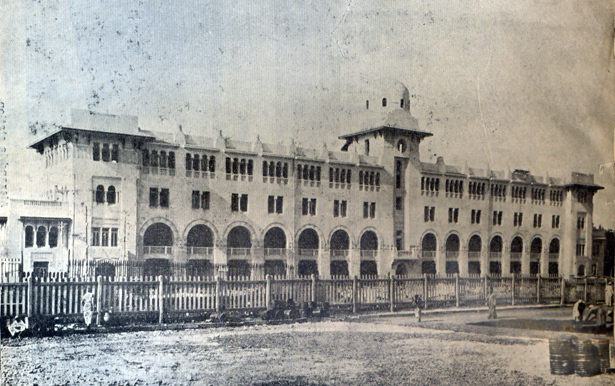 Also of neo-Mamluk style is Tanta Station, of which an architectural model created for the congress of 1933 was on display in the Railway Museum. and that of Giza, still extant. Incidently, photos of Luxor’s station, which opened in 1898, are scarce and it would be ironic if it were not as pharaonic-looking as those of Kom Ombo and Guiza. 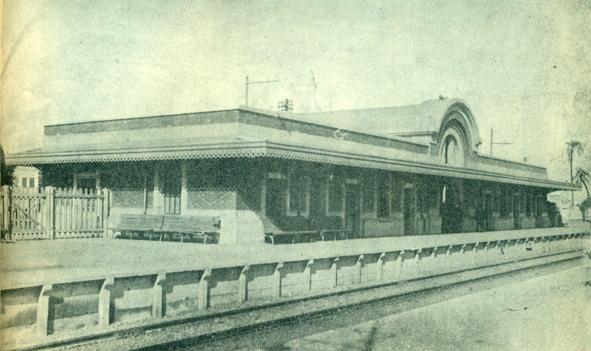 On the other hand, the earliest Port Said Station (non-extant) was the most modern looking of all Egyptian stations, with its curved roofing. 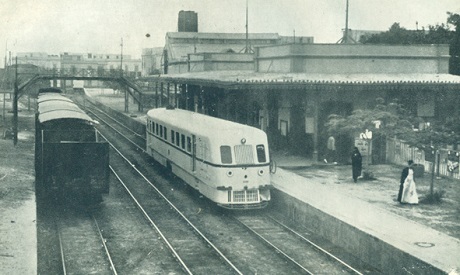 Sidi Gaber is Alexandria's secondary station, while Montaza Station was reserved for royalty and several smaller stations for freight, such as Gabbary. Within its service years, the ERS achieved a wide outreach orbit. Already in 1884 there was a railway from Aswan to Sudan, which was used for military purposes. In 1898, at the close of the final Sudan campaign, the railway from Luxor to Shellal was absorbed into the state railway system. Another prominent international line in the 20th century crossed Sinai reaching Palestine. The 1948 War put an end to these railways.